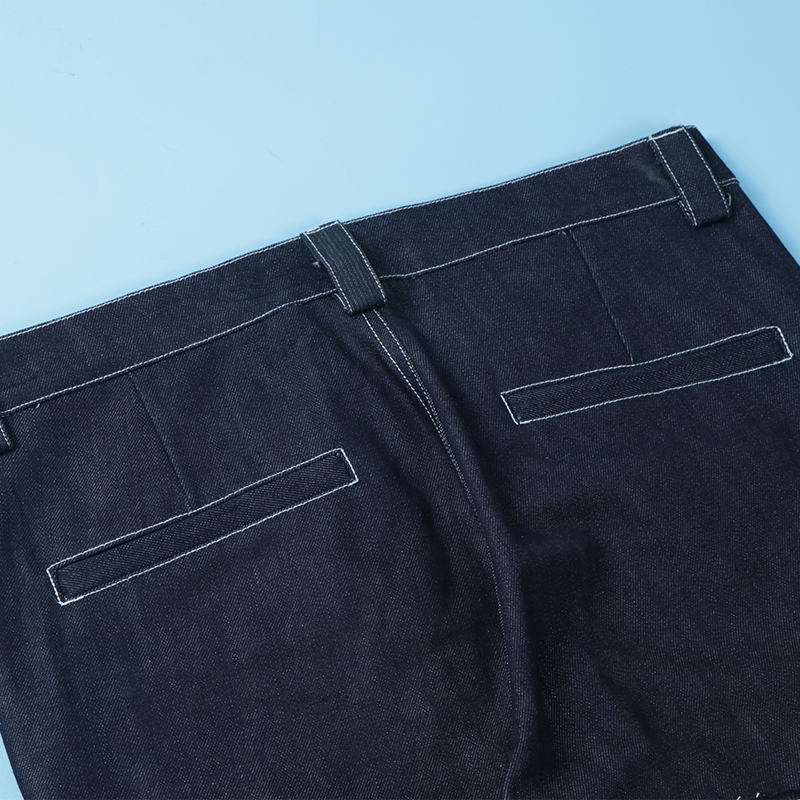 Our signature slack pants comes with a immaculate detailing in forms of patches and pocket patch. 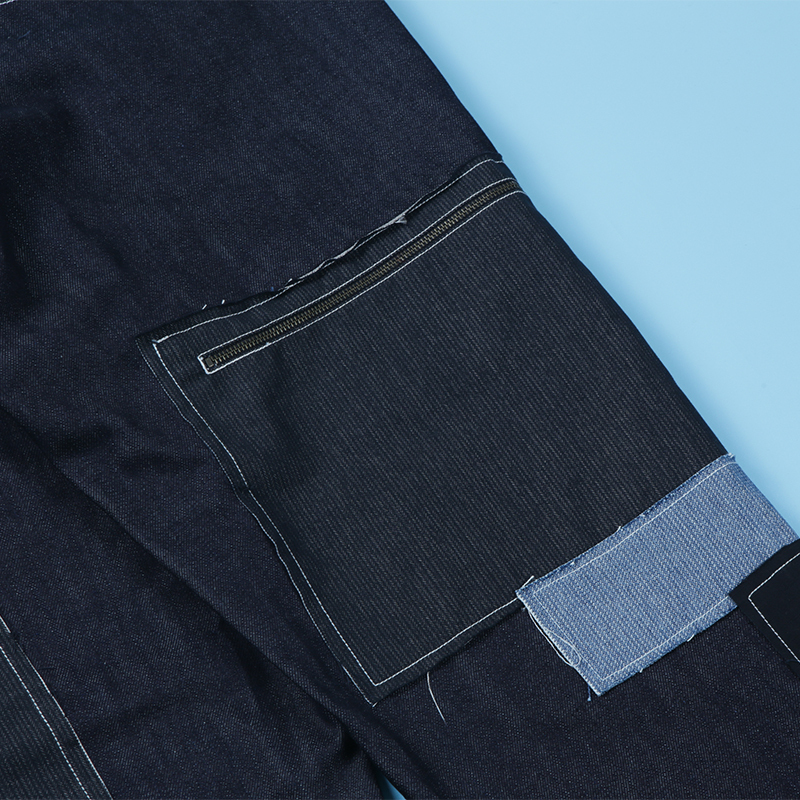 Inspired by 40-50s military pants, the pants is patched with 3 different fabrics, forming 2 utility zip pockets on each thigh. 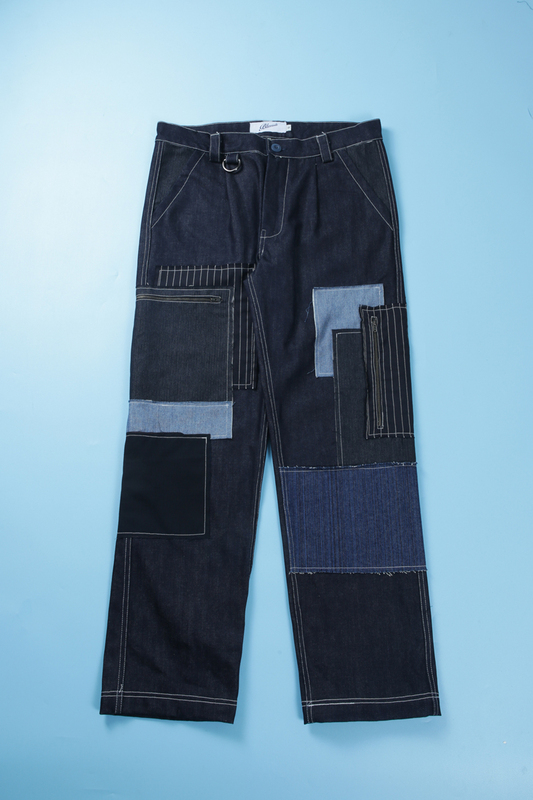 Each patch is left with frayed edge to achieve a more natural patchwork approach that adds to the character of the pants. 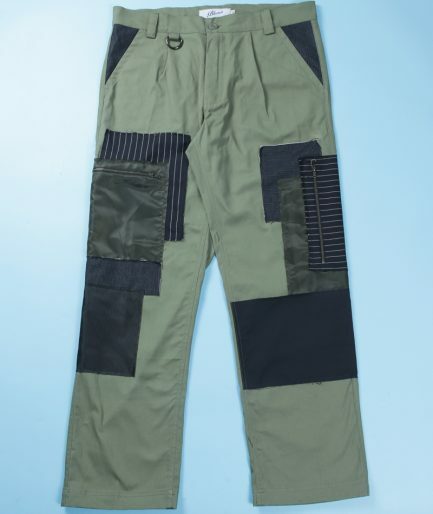 This pants has a regular to loose fit with a bit tappering on the leg opening. 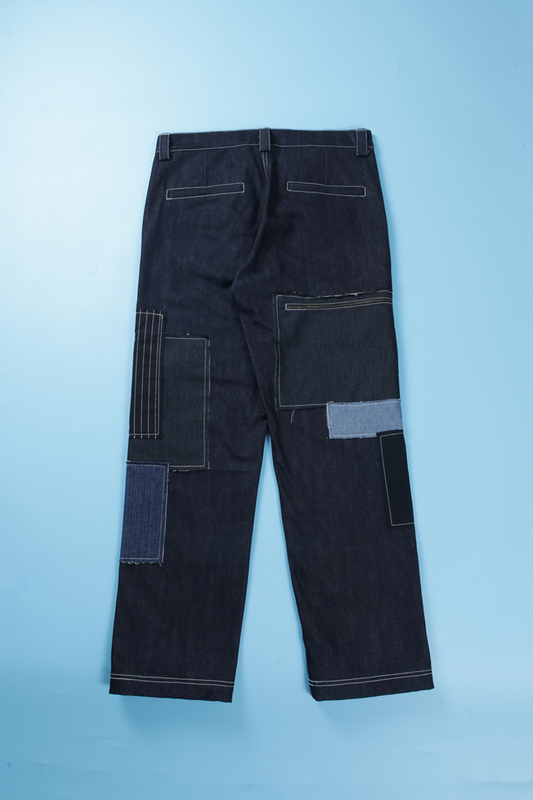 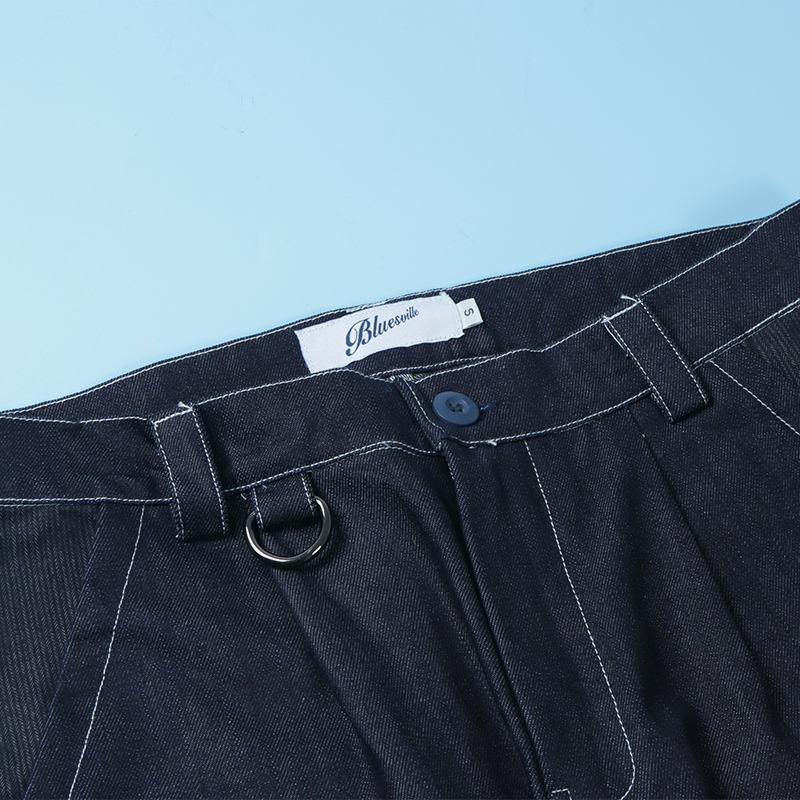 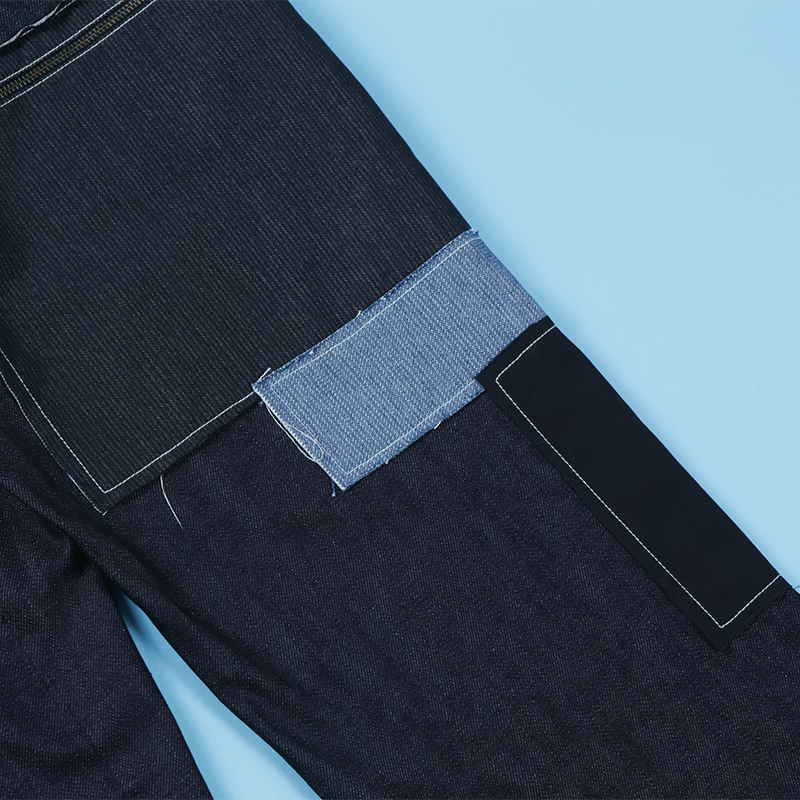 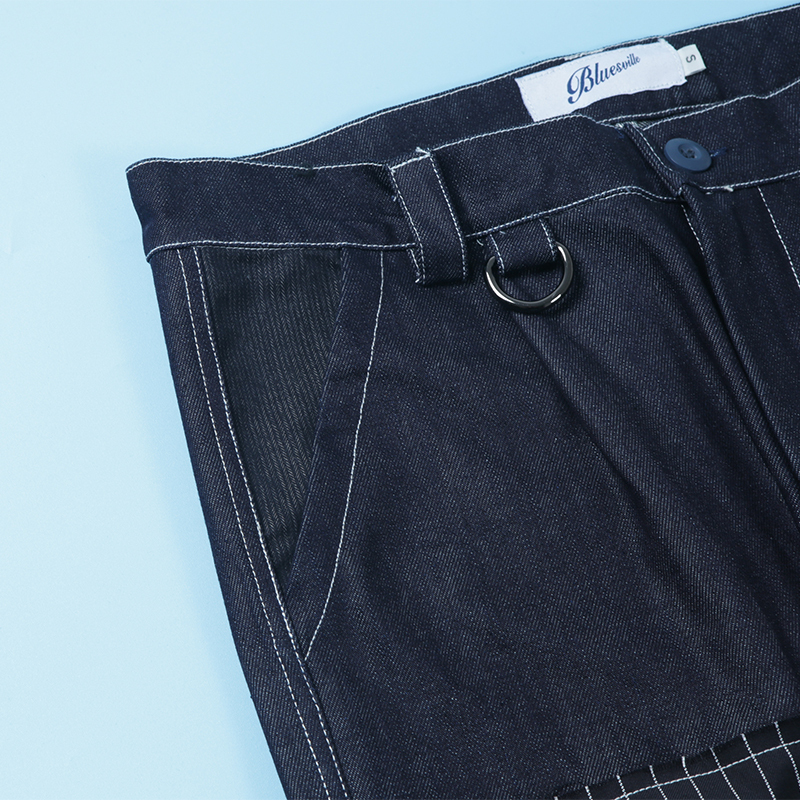 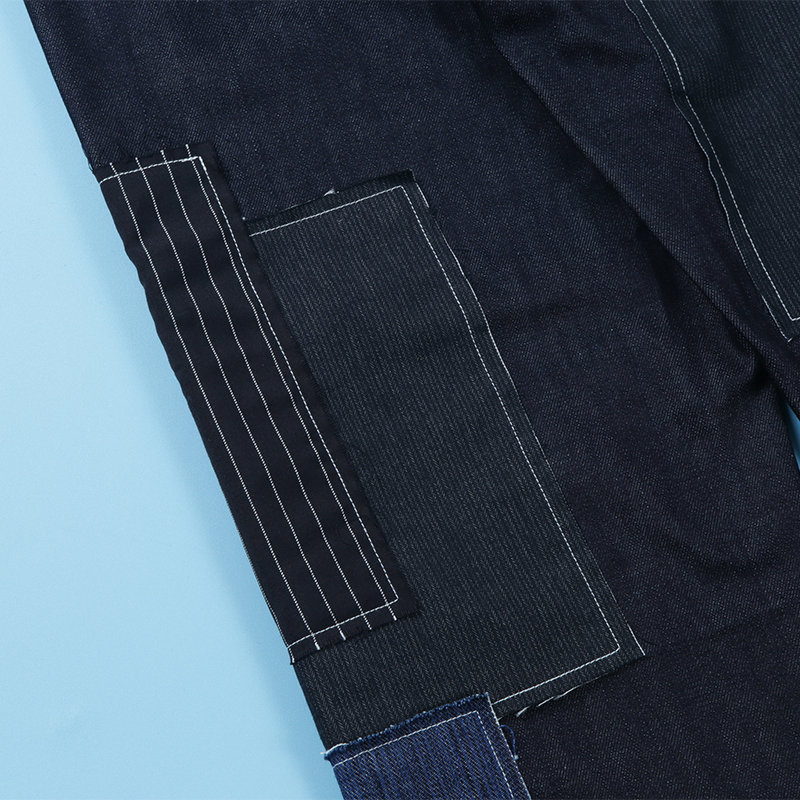 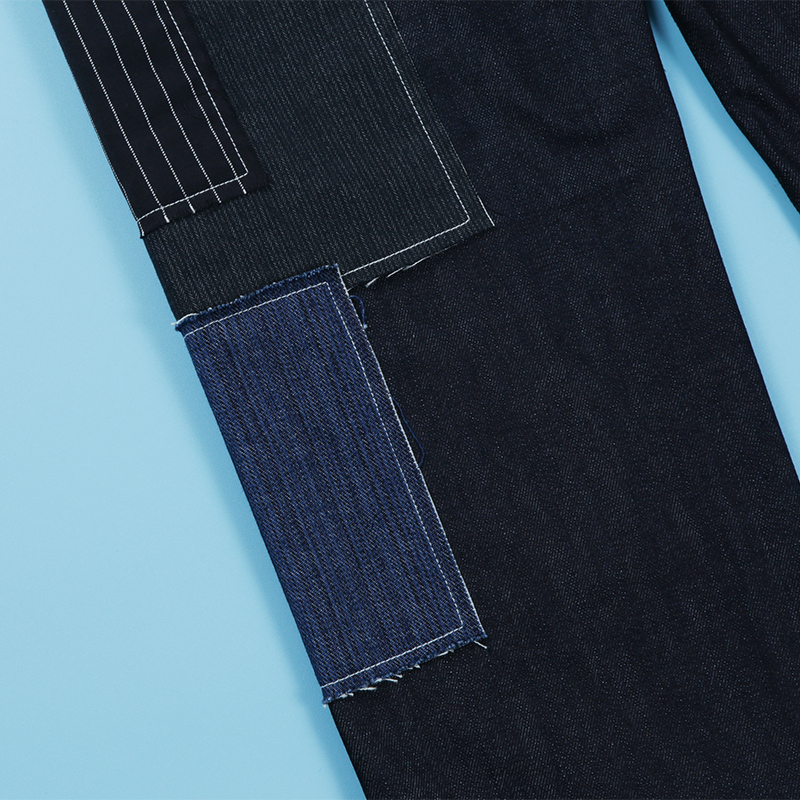 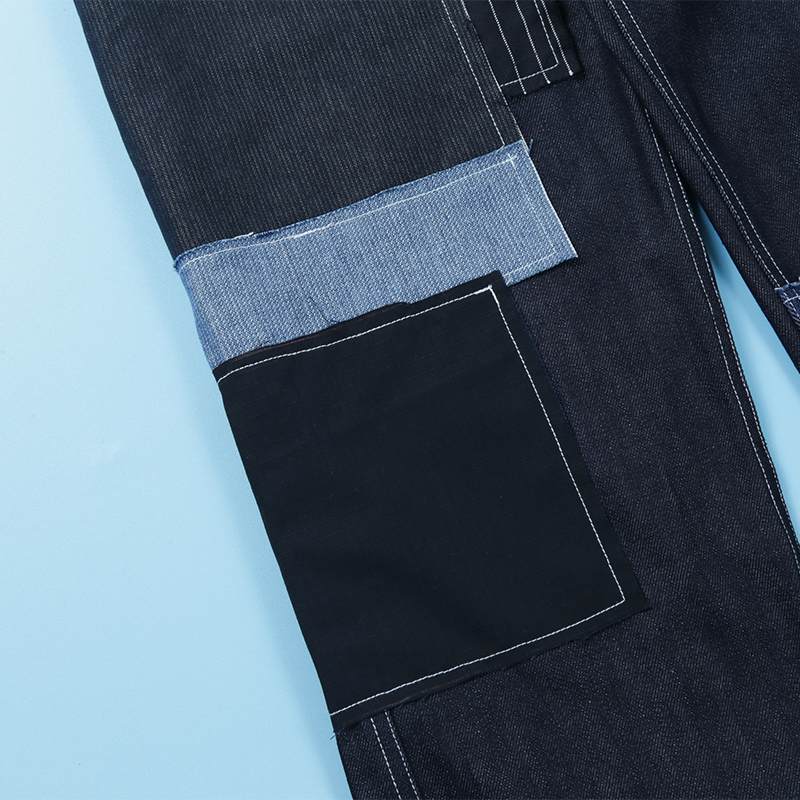 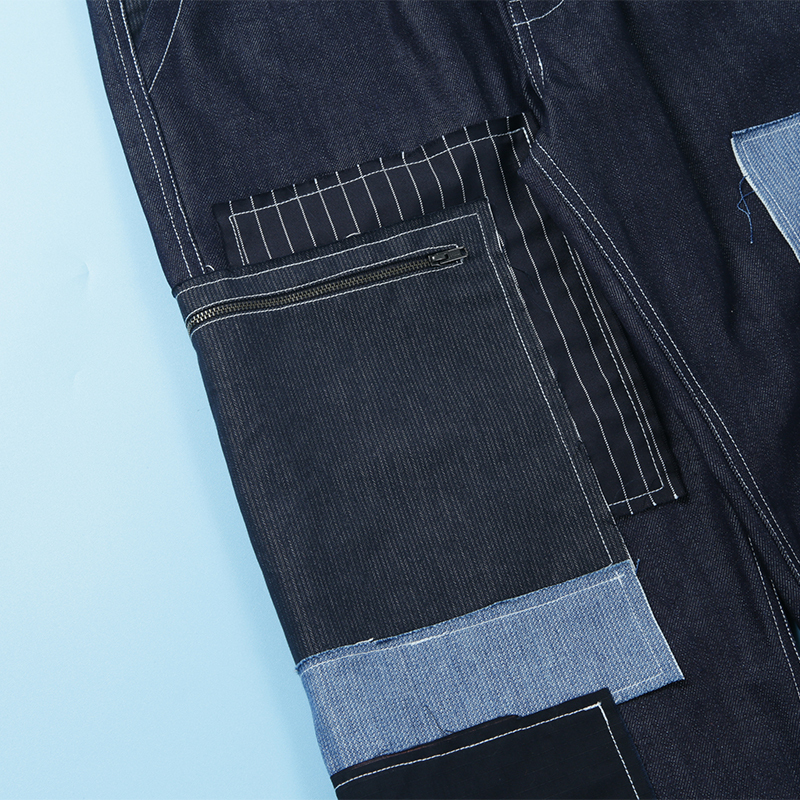 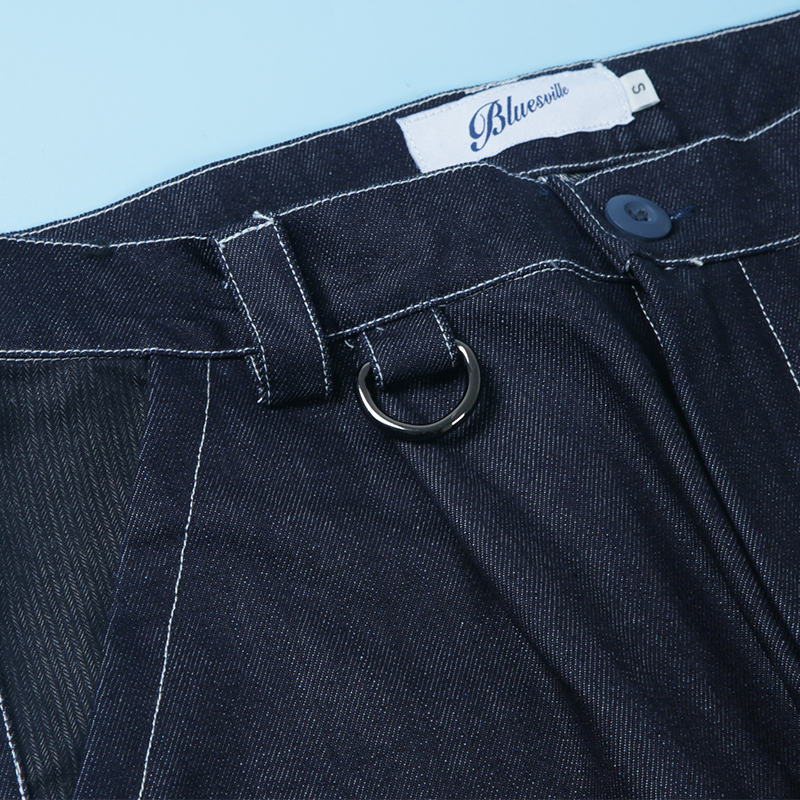 Pants are made from a 12oz raw denim fabric and using a YKK zipper fly for comfort. 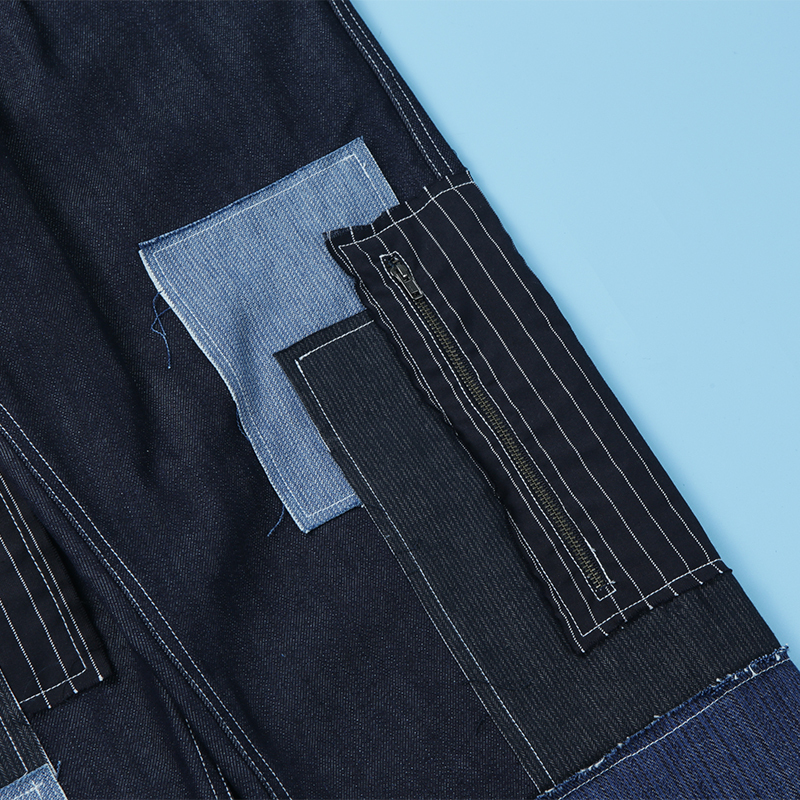 notes: As these garments are made by hand, measurements may vary slightly for each individual pair. 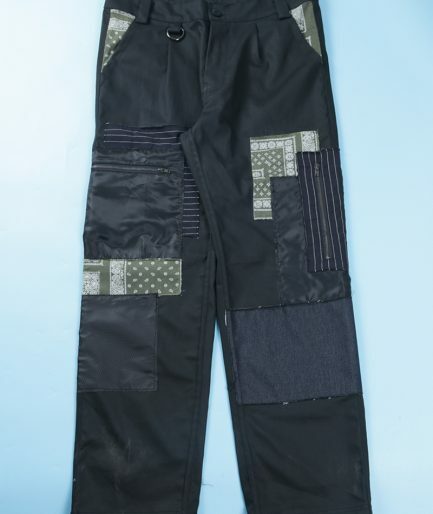 The measurement above are based on averages taken from multiple pairs of this particular garments. 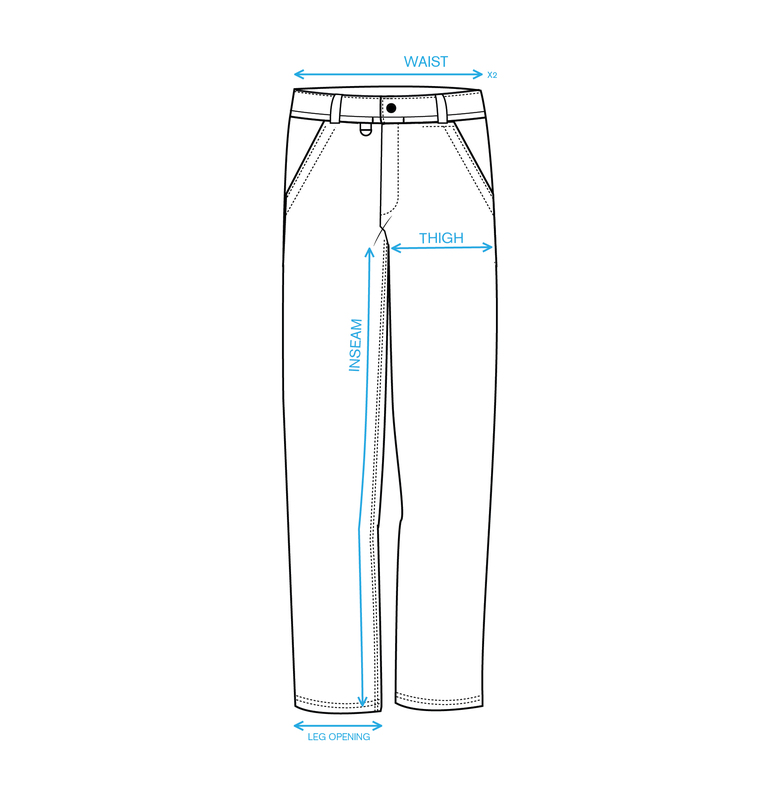 All size comes in 33 inch inseam.